Tikšanās ar dāņu neatkarīgo žurnālistu Tomu Heinemannu, autora dokumentālās filmas skatīšanās un diskusija par mikrokreditēšanu notiks trešdien, 8. februārī plkst. 16.00 Strēlnieku ielā 4a. Pieteikšanās online šeit. The lecture includes a screening of Tom Heinemann’s award-winning documentary. It will be followed by a discussion. 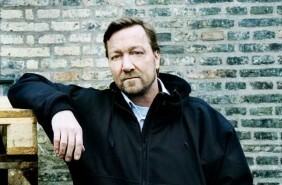 Tom Heinemann has been an independent investigative journalist for two decades. He has been awarded as "Outstanding Investigative Journalist" twice, and three times as runner-up for "Journalist of the Year" in Denmark. In 2007 he won the Prix Italia in the Current Affairs section. His films have been screened all over the world, and he has received numerous awards for his work on global issues. Microcredit has been hailed as the solution for eradicating poverty. Danish independent journalist and filmmaker, Tom Heinemann, questions that “truth”. He spoke of meeting Jahanara, living in slum housing outside the Bangladesh capital of Dhaka. She had sold her house to pay her weekly instalments and for months she had been intimidated, harassed and abused by the members of her loan group and by the loan officers. The meeting with Jahanara was the first in a long string of interviews with poor people in Bangladesh, in India, and in Mexico. Microcredit borrowers told the same story over and over again: They had to take out new loans to cover the unpaid balance on the old ones. They paid interest rates between 30 and 200 percent, and were under extreme pressure from other members of their groups not to discuss the cruel treatment and harassment from the loan officers if one would default on a single weekly payment. The film also presents interviews with renowned microfinance experts. A Nobel banke “The Micro Debt” also takes a closer look at the 2006 Nobel Peace Prize laureates, Grameen Bank and Mr Muhammad Yunus. The film reveals secret documents proving how Mr Yunus, back in the mid-90′s, transferred 100 million USD, mostly in grants, to a new company in order to save on taxes in the future. Now viewers will be able to see what has happened to taxpayers’ money.